1. Why leaders need virtues? 1. Authentic leadership must be based on an authentic anthropology, one that includes aretology, the science of virtues. Virtue is a habit of the mind, the will and the heart, which allows us to achieve personal excellence and effectiveness. 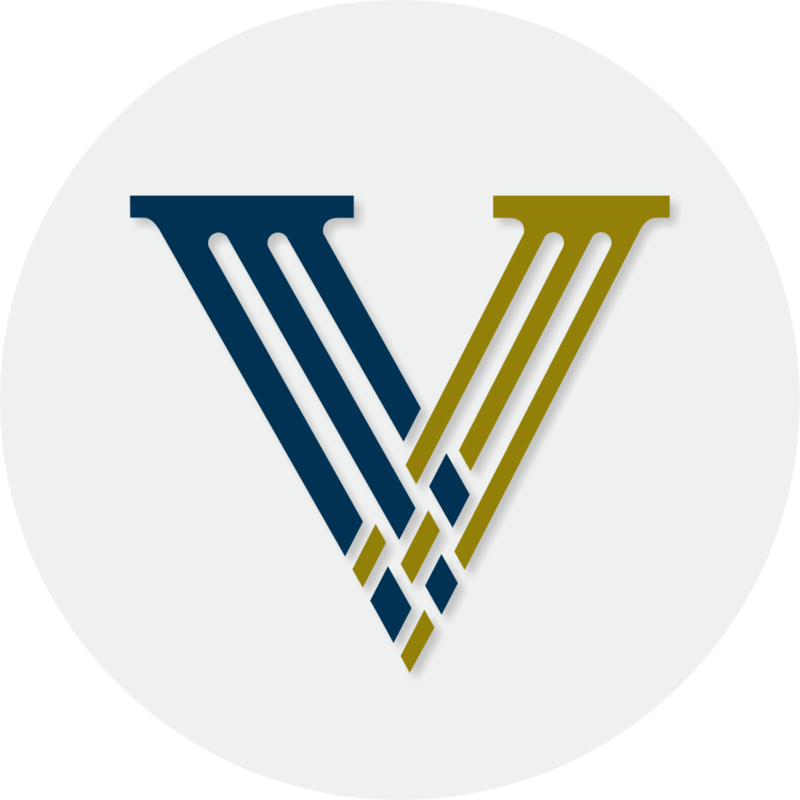 Leadership is intrinsically linked to virtue. First, because virtue creates trust—the sine qua non of leadership. 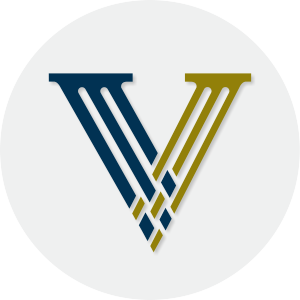 Second, because virtue, which comes from the Latin virtus, meaning “strength” or “power,” is a dynamic force that enhances the leader’s capacity to act. Virtue allows the leader to do what people expect of him. 2. What is the essence (specificity) of leadership? Why? 2. Leadership is about achieving greatness by bringing out the greatness in others. Magnanimity (greatness) and fraternal humility (service), which are principally virtues of the heart, constitute the essence of leadership. Magnanimity is the habit of striving for great things. Leaders are magnanimous in their dreams, their visions and their sense of mission; also in their capacity to challenge themselves and those around them. Fraternal humility is the habit of serving others. It means pulling rather than pushing, teaching rather than ordering about, inspiring rather than berating. Thus, leadership is less about displays of power than the empowerment of others. To practice fraternal humility is to bring out the greatness in others, to give them the capacity to realize their human potential. In this sense leaders are always teachers and fathers/mothers. The followers of a leader are the people he serves. Magnanimity and fraternal humility are virtues specific to leaders; together they constitute the essence of leadership. 3. Why is leadership a life ideal? 3. Leadership is a life ideal, because the specific virtues it draws on—magnanimity and fraternal humility—are themselves life ideals. Magnanimity and fraternal humility constitute a unique ideal: the ideal of the dignity and greatness of man. Magnanimity makes us conscious of our dignity and greatness; fraternal humility makes us conscious of the dignity and greatness of others. Magnanimity and fraternal humility are the fruits of a true appreciation of the value of man; pusillanimity, which prevents man from understanding himself, and pride, which prevents him from understanding others, stem from a false appreciation of man’s value. Leadership is a life ideal, which recognizes, assimilates and propagates the truth about man. 4. What are the foundations of leadership? Why? 4. The virtues of prudence (practical wisdom), courage, self-control and justice, which are mainly virtues of the mind and the will, constitute the foundations of leadership. Prudence increases the leader’s ability to make right decisions; courage permits him to stay the course and resist pressures of all kinds; self-control subordinates his emotions and passions to the spirit and directs their vital energy to the fulfillment of the mission at hand; justice impels him to give everyone his due. If these four virtues, which are called cardinal, do not constitute the essence of leadership, they constitute its bedrock without which leadership comes to naught. 5. What is “fundamental humility”? What is its function? 5. Humility in its proper sense is the habit of living in the truth. To live in the truth is to recognize one’s status as a creature (metaphysical humility), as well as one’s natural weaknesses and personal faults (spiritual humility). It is also to recognize one’s dignity and greatness (ontological humility) as well as one’s talent and virtue (psychological humility). This fundamental humility gives self-knowledge. 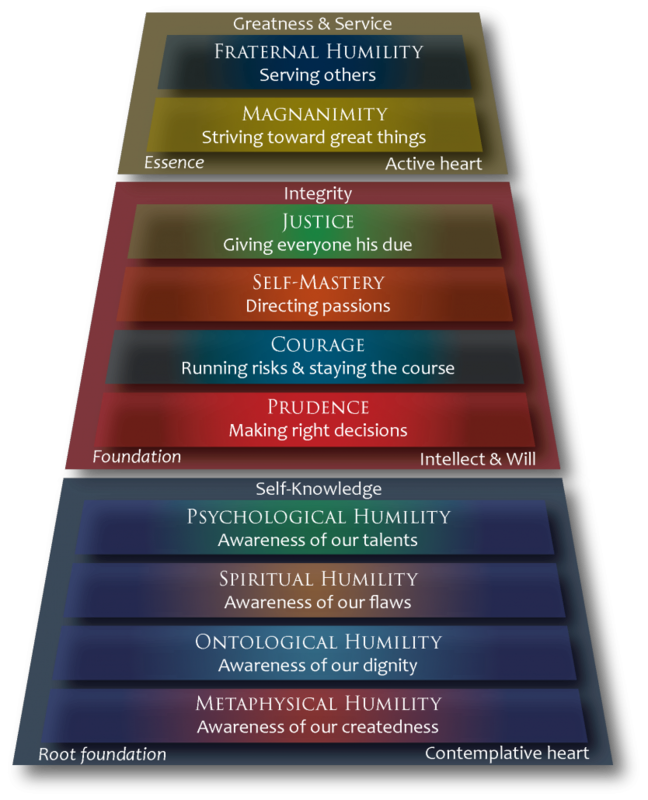 If fraternal humility (service) is the essence and summit of leadership, and prudence, courage, self-control and justice are its foundation, then fundamental humility is the cornerstone (or the “root foundation”). 6. “Leaders are trained, not born”. Why? 6. Leaders are trained, not born. Virtue is a habit acquired through practice. Leadership is a question of character (virtue, freedom, growth) and not of temperament (biology, conditioning, stagnation). Temperament can favor the growth of some virtues and hinder the development of others. But there comes a point where the leader imposes his character on his temperament so much so that his temperament ceases to dominate him. Temperament is not an obstacle to leadership, whereas lack of character—i.e., the moral energy that prevents us from being slaves to biology—most definitely is. 7. What is the difference between Potestas and Auctoritas? What is the meaning of each of these notions in leadership? 7. The leader does not lead by means of potestas or the power inherent in his office or functions. He leads by means of auctoritas, which proceeds from character. Those who lead by means of potestas, because they lack authority, are leaders in name only. It is a vicious circle: he who lacks authority (auctoritas) tends to abuse his power (potestas), which provokes an erosion of authority, thus blocking his path towards authentic leadership. Leadership is not about rank or position or being on top of the heap. Leadership is a way of being, which can be lived by everyone no matter his or her place in society or in any given organization. 8. What is the role of the intellect, the will and the heart in the life of a leader? 3. with the mind, we practice all the virtues simultaneously, paying particular attention to the virtue of prudence—the guide of all the virtues. 9. Maturity in judgments, emotions, and behavior. What does this mean in practice? 9. By practicing the virtues, leaders become mature in their judgments, emotions, and behavior. The signs of maturity are self-confidence, coherence, psychological stability, joy, optimism, naturalness, freedom and responsibility, and interior peace. Leaders are neither skeptics nor cynics; they are realists. Realism is the capacity to entertain noble aspirations of the soul, despite one’s personal weaknesses. Realists do not give in to weakness; they overcome it by the practice of virtues. 10. Leaders reject a utilitarian approach to virtue. What does this mean? 10. Leaders reject a utilitarian approach to virtue. Virtue is not something we cultivate first and foremost in order to become effective at what we do. We cultivate virtue so as to realize ourselves as human beings. Improved effectiveness is merely one of virtue’s many consequences. 11. What is the difference between virtue ethics and rules-based ethics? Why the former is more relevant? 11. Leaders practice virtue ethics, rather than rules-based ethics. Virtue ethics do not deny the validity of rules; they affirm that the essence of ethics is something other than rules. Rules must serve virtue. Virtue ethics underlie the leader’s creativity causing it to flourish. 12. What is the relation between the human virtues and the specifically Christian virtues of faith, hope and charity? What does the practice of the Christian virtues add to leadership? 12. The practice of the specifically Christian virtues of faith, hope and charity has a powerful impact on leadership. These supernatural virtues elevate, reinforce and transfigure the natural virtues of magnanimity and humility, which are the essence of leadership, and the natural virtues of prudence, courage, self-control and justice, which constitute its foundations. No study of leadership that failed to take into account the supernatural virtues would be complete.